​Dr Jeremy grew up in the Hunter and came back home to assist the people of the area and beyond in attaining their best health possible. Dr Olivia Thomas (née Scott) is originally from Launceston, Tasmania. 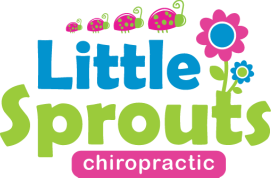 Dr Olivia and Dr Jeremy opened Little Sprouts January 2014 in Mackay. After the success of the Mackay practice, Little Sprouts Hunter Valley was opened soon after in October 2015. Dr Jeremy and Dr Olivia have a passion to see you reach your greatest potential in life. This vision is most achievable the earlier in life they are able to help you, as such was their passion for focusing their skills on babies and children. Their techniques however work equally well on all ages. 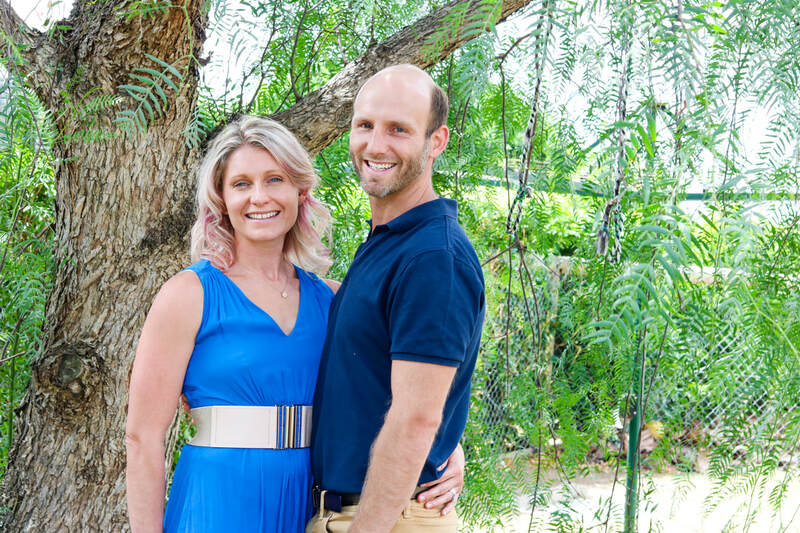 Olivia and Jeremy work tirelessly to see that "Little Sprouts Chiropractic is regarded as the finest health care practice in Australia. Every individual will be expertly and affectionately guided and transformed into their greatest self yet". They do this "with a dedication to the highest quality of customer satisfaction delivered with a sense of warmth, friendliness, fun, individual pride, and community spirit". As such if you would ever like Dr Olivia or Dr Jeremy to do a community discussion/presentation please contact them via the email provided on this site. Dr Jeremy takes special interest in children and family care, he states that "By getting to the underlying cause of dysfunction through uncovering the three stressors, the body is remarkable at healing". He cannot stand to see someone held back by their health. "Do you know someone who isn't living out their potential and feels stuck because of their health? Well, I help those people rebound and get their life back". Dr Olivia takes special interest in assessing the body from a structural, chemical and emotional perspective and is focused on helping her patients reach their full capacity. Dr Olivia has a passion in helping children with learning and behavioral issues, and is driven to go the 'extra mile' to reach that child's greatest potential. Dr James has always worked in the health industry, with a background in practice management, he decided that he wanted to do more to help. This decision in late 2011 was the starting point in his chiropractic journey. Dr James completed his masters of chiropractic at Macquarie University in 2016. He has an interest in paediatric care, as well as all the way up to the big sprouts, he wants to work with you to get your body performing at its best. Dr Angela grew up in Adelaide and relocated to Melbourne to pursue her dreams of becoming a Chiropractor. She completed her double degree in Health Science and Applied Science (Chiropractic) in 2018 at RMIT, Melbourne. She has a strong interest in gut and immune health and is passionate about helping patients to reach their best state of being with Chiropractic care. Tori is a vibrant girl from the Hunter Valley, she has a passion for succeeding in all her endeavours and for dreaming big! She aims to create a lifestyle for herself where work, health and fun are balanced. After finishing school and working in hospitality for three years, Tori is now excited to be a part of an engaging and dynamic workplace where she can work alongside all of our Sprouts and help them reach their optimum health goals! Tori enjoys spending her spare time with her closest friends and family, as well as being a puppy mum to a little moodle named Leo. Tori is expecting a little baby girl due in July 2018! Emma has worked with children for the past 10 years and is so happy to be with little sprouts (and big sprouts too!) but in a different capacity. As a mum of three beautiful young boys, Emma knows just how vital great health and nutrition is to being your best self and living life to its fullest! She is absolutely passionate about the power of food and how it can nourish our bodies in the most amazing way! Emma loves spending time with her family and friends, enjoying all the amazing things the Hunter Valley has to offer and looks forward to meeting you all and sharing your journey to optimal health. She is currently on maternity leave with her newest bundle of joy. Before beginning at Little Sprouts, Elise was working in various areas of hospitality, education and child care for 8 years. She finished school and moved to the Newcastle area to pursue studies in Social Work. She now studies part time and works while also serving in the church she is part of. Elise loves being part of a team that focuses on preventative and holistic care. She is passionate about people and seeing them be their best and healthiest self! Prior to starting with Little Sprouts, Leah was a town planner in the Hunter Valley. Leah's interest now is a career more aligned with her values of good health, happiness and holistic healing. She loves to watch and work with people through their health journeys. Leah enjoys spending time with her husband, family and fur children. Her dogs keep her active and her niece and nephew definitely keeps her on her toes! Leah is excited to be joining the Little Sprouts team can't wait to meet you! For the past 6 years Cheri has been a Vet Nurse and enjoyed working with a lot of fur babies. It has given her many amazing skills as a nurse and a leader but most importantly a nurturing personality. Her love to help people after her daughter being diagnosed with Autism years ago lead her into seeking holistic approaches and treatments to help her child love her best life and eventually to Little Sprouts as a client and now our Practice Manager. Cheri is a wife and mother to 2 beautiful children and strongly believes in the health and well-being of her family. Cheri has a zest for life , an incredible energy and a kind heart and a big smile that lights up the room. Cheri is excited to lead our team here at Little Sprouts and looks forward to meeting you all.